As the title indicates — and as those of you who know me in person — what drew me to this particular demon story was its exodus from the cook’s body in diarrhoea. *Insert boyish/teenage-style chuckle here. * Demon diarrhoea. Hilarious. Anyway, the demon diarrhoea in this story is actually interesting beyond the scatalogical humour it affords for me and many other men the world over. It is interesting because of the physicality of it. In the late fourth century when Sulpicius was writing this Life, the vision of the spirit world that was becoming current at the theological level was of an immaterial, non-corporeal spirit world. That is, spirit don’t have bodies; they cannot touch you. Angels and demons — along with the Trinity and the human spirit — are of this category. Nonetheless, here we have a text that, despite its ‘high’ literary Latin, represents popular Christianity at some level. Of course, the idea of demons being involved in physical matter upon their exorcism from a human host is found in Scripture, when Christ commands Legion to enter a herd of nearby pigs. This physicality of the demonic remains, despite the high Platonic philosophy that comes to dominate Christian thought with people like Augustine and the Cappadocian Fathers. We have seen it in Besa’s fifth-century Life of Shenoute here and Adamnán’s seventh-/eighth-century Life of Columba here (being one of the most popular Coptic monk-saints and Scottish monk-saints respectively). Demonic physicality is also affirmed in the monastic Life par excellence, ‘Athanasius”s Life of St. Antony, as seen here and here. Although he does not linger on it, somewhere in the Conferences, John Cassian mentions demons who lurk at crossroads and mug travellers. What makes Martin’s confrontation with the demoniac baker and its physicality different from the above is that, although the text blurs the person of the cook and the person of the demon, it is evident by the end that the cook is possessed. Martin accordingly expels the demon from the cook’s body — appropriate for a man who began his ecclesiastical career as an exorcist. Nonetheless, the demonic diarrhoea — one of the crappiest ways for a demon to go — reaffirms the physicality of the demon. I think this sort of tangible story with all the gorey details, so to speak, is an important difference between hagiography and other monastic literature. As I said above, John Cassian does not linger on demons who mug people. That sort of story, along with miracles, is not really what he’s into. 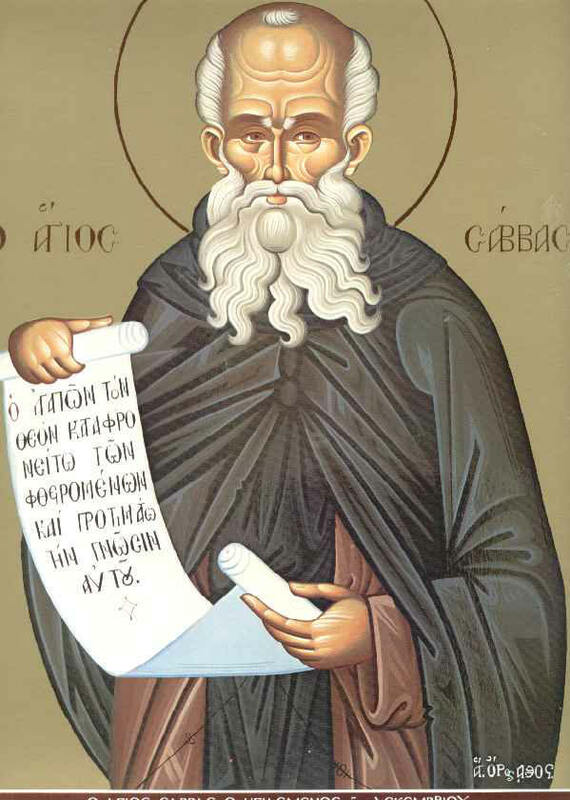 Cassian’s literature is about how to fight the demons in daily life — and that means the constant struggle to your last breath against temptation (as goes one of the Sayings of the Desert Fathers), it means regulating your thoughts, it means learning what arouses your concupiscible passions and what arouses your irascible passions. Not whether or not demons can be expelled from a human person the same way as too many burritos. The purpose of hagiography is always to edify the reader, as claimed by Sulpicius in his Life of Martin. It is to provide an example for monks to imitate. It is to strengthen the faith of the reader. It is to say, ‘If you are simply fighting temptation, look at the crap St Martin had to put up with! !’ But unlike what one may call monastic manuals such as Cassian’s work or Evagrius’ Chapters on Prayer and Antirrhetikos (or Talking Back), most hagiography does not give the reader very specific instructions as to what the holy life looks like for imitation (although I would argue some of John of Ephesus’ Lives of Eastern Saints do). At the end of the day, I think this particular story is there to show us a. Martin’s holiness, b. what Christ can do with his saints, and c. the lowliness of evil spirits in the face of the fearless Christian. Those, I suppose, are lessons worth taking away. According to n. 95, p. 328, Christian literature abounds with stories of Persian monarchs being cured by saints, and according to the Armenian version of Michael the Syrian’s Chronicle, Khusro’s mother was actually baptised. This story reminds me of a biblical parallel (and no doubt on purpose), the story of Na’aman in 2 Kings 5. Na’aman was a Syrian general who was afflicted with leprosy. Like the Persian Queen Mother in Pseudo-Zachariah, he went to the man of God, in this case the Prophet Elisha (successor to Elijah). To make a long story short, Na’aman was cured by washing in the River Jordan and returned healthy and hale to his people. He vowed that he would worship YHWH in secret — whenever his master bowed to the god Rimmon, he would bow as well, but secretly incline his heart to the God of Elisha. Khusro’s mother also worshipped in secret according to Pseudo-Zachariah, building a shrine to St. Cyriacus (apparently a popular martyr’s name). Yet unlike Na’aman, the Persian Queen does not convert. She does not offer prayers to Christ our God. Instead, she takes back with her some sort of relic — I imagine the “oil of the saints’, oil that has made contact with a relic and is used for the purposes of healing the sick and casting out demons. The tomb of St. Euthymius in the Judean Desert has a hole through which to pour the oil, and it comes out a little drain at the bottom for you to gather it; such oil recurs frequently throughout the Life of Daniel the Stylite (saint of the week here), and Cyril of Scythopolis often speaks of the “oil of the holy Cross”, which is probably a similar idea. Her reverence is for the holy man and the saint who cured her, not, to use the popular Byzantine turn of phrase, “Christ our God.” This is too bad, really. The Church should certainly be seeking to heal those who are sick, be it with demonic possession or physical ailments, but what about the ultimate, deepest sickness, the fallenness of the human soul? Should not Moses have introduced this Persian aristocrat to Christ the Physician? Perhaps he tried, and she would have none of it. Alas, then, that this woman was cured of a temporal sickness but refused the medicine of the eternal sickness, taking away superstition rather than true religion! No doubt the history of the Church is full of such stories. Our all-praiseworthy father Daniel bade adieu to his parents when he was twelve years old, then for twenty-five years he lived in a monastery; after that during five years he visited the fathers and from each learned what might serve his purpose, making his anthology from their teaching. At the time when the crown of his endurance began to be woven the Saint had completed his forty-second year, and at that age he came by divine guidance, as we have explained above, to this our imperial city. He dwelt in the church for nine years, standing on the capital of a column, thus training himself beforehand in the practice of that discipline which he was destined to bring to perfection. For he had learned from many divine revelations that his duty was to enter upon the way of life practised by the blessed and sainted Simeon. For three and thirty years and three months he stood for varying periods on the three columns, as he changed from one to another, so that the whole span of his life was a little more than eighty-four years. During these he was deemed worthy to receive ‘the prize of his high calling’;( 1 Philipp. 3:14. )1 he blessed all men, he prayed on behalf of all, he counselled all not to be covetous, he instructed all in the things necessary to salvation, he showed hospitality to all, yet he possessed nothing on earth beyond the confines of the spot on which the enclosure and religious houses had been built. And though many, amongst whom were sovereigns and very distinguished officials occupying the highest posts, wished to present him with splendid possessions he never consented, but he listened to each one’s offer and then prayed that he might be recompensed by God for his pious intention. One of the things from this life that interested me was his battle with demons in a little church. This demon-battling role is something that we find frequently in the monks and anchorites of the fourth and fifth centuries. The holy man does battle with the spiritual forces of evil on our behalf. St. Daniel cast out demons from people as well as places. He also healed the sick. Holiness for the ancients wasn’t simply good, moral living. That’s called virtue. Holiness is that something more, that way of life that goes to the next level. Martyrs, for example, bear witness to Christ through their deaths. The ascetic, once Roman persecution ceases, takes his place, bearing witness to Christ through his suffering. The martyrs are glorified by the wounds from their deaths — Tertullian imagines that they will still have them even at the Resurrection. Daniel was glorified through the wounds on his feet caused by standing on a pillar all the time. The Stylite — a type of asceticism founded by Simeon — is a living symbol of what all monks are. He stands on his pillar between Earth and Heaven, interceding for the people below. He is an intermediary, and the pillar clearly shows us this aspect of the monastic role in society. Daniel is also notable because, being a Stylite and being so close to Constantinople (1 mile North along the Bosporos), he was easily accessible to the emperors and aristocrats. The pious Emperor Leo of blessed memory (as the Life calls him) liked listening to Daniel so much that he had a palace built nearby. The Monophysite usurper Basiliscus sent an envoy to essentially get Daniel’s blessing. A very different world than our friend St. Antony of Egypt! While we bear in mind our holy father’s spiritual counsels let us do our utmost to follow in his steps and to preserve the garment of our body unspotted and to keep the lamp of faith unquenched, carrying the oil of sympathy in our vessels that we may find mercy and grace in the day of judgment from the Father, the Son and the Holy Ghost now and henceforth and to all eternity, Amen.